On Saturday (17 September) Stirling Prize-winning Architects Allford Hall Monaghan Morris (AHMM) will take Open House visitors on tours around the White City site. 100 visitors will get a preview, in the striking Pavilion space, of the houses and apartments in the development and will visit the 11th floor of the East Tower, with panoramic views across the development and the whole White City regeneration. There will be 10 tours between 11am and 4pm on Saturday 17 September with each tour accommodating 10 visitors on a first come first served basis. Television Centre is in Wood Lane, White City opposite Wood Lane Underground station. Television Centre was the first custom-built television studio facility in the world, designed by architect Graham Dawbarn CBE after the BBC acquired the site in 1949. It has been home to the BBC since it first opened in 1960. 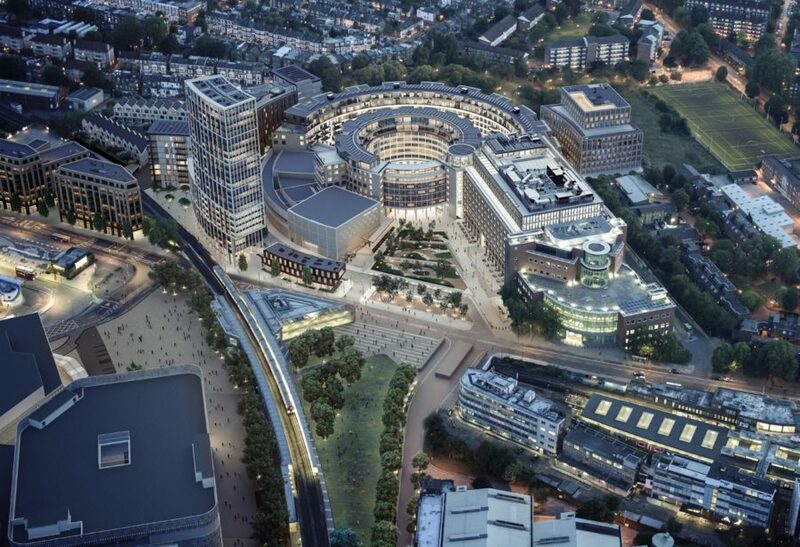 The listed buildings, including the famous Television Centre forecourt and facade, Studio 1 and the central Helios Plaza, will be preserved and opened up to the public for the first time. The scheme places strong emphasis on pedestrianised routes and landscaped open spaces to stitch the site back into the local area and complement the overall regeneration of White City.